Google Classroom is a learning management system (LMS) designed by Google and implemented in Google’s G Suite for Education. This highlights new features added or changed from the previous published article. If you have not read the first article, it provides an overview of all the features of Google Classroom. This article builds onto those features. Therefore, check out the first article and then return here. 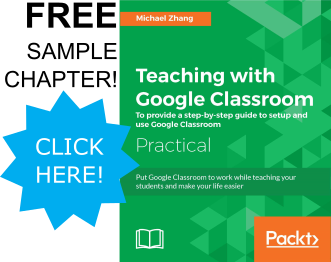 For a FREE Sample Chapter of my latest book, Teaching with Google Classroom, click here. For a written tutorial, continue on to the next section.